Students For Liberty has partnered with the Advocates for Self Government to equip students with free Operation Politically Homeless kits. 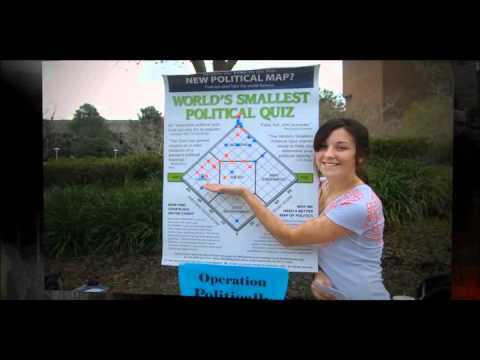 Operation Politically Homeless empowers libertarian activists with everything they need to easily set up eye-catching outreach booths that entice passers-by to take the World’s Smallest Political Quiz and encounter libertarian ideas. The quiz is designed to help students without a political affiliation find out where they fall on the ideological spectrum. Surprisingly high numbers turn out to be more libertarian than they originally thought. 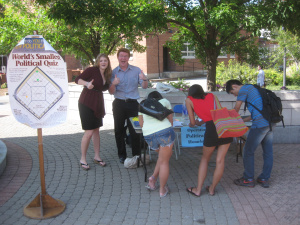 Operation Politically Homeless is a great event to hold while tabling during the first weeks of a semester. You can set up the poster-sized Nolan Chart and have students take the quiz. Many student groups have already reported great success this year using OPH kits to spread awareness. If you would like to request a kit please fill out this form on the advocates page.